Definition - What does Camel Pose mean? Camel pose is a deep backbend that offers an increase in flexibility, strength and a number of other health benefits. Many body parts are activated and challenged in this pose. 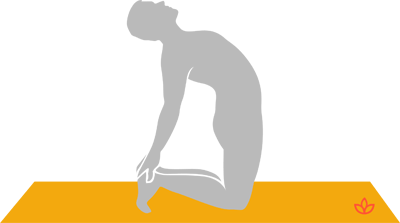 To perform camel pose, the practitioner kneels on the mat and bends backward to touch the feet with both hands. Beginners may initially only achieve a limited backward bend in this posture, while more experienced practitioners may carry out a deeper bend in which the head dips down close to the floor. Camel pose is also known by its Sanskrit name, ustrasana. For beginners who may not have the initial flexibility to reach their feet, the pose may be modified by tucking the toes under and raising the heels so they don't have to stretch quite as far.